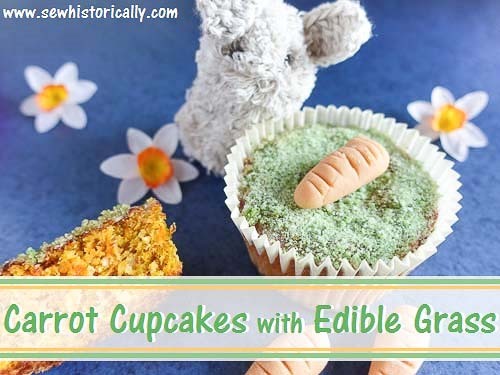 These are the best carrot cake cupcakes I’ve ever had! 😀 Moist and flavorful with grated carrots and ground almonds. 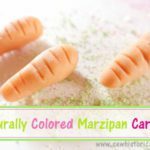 They’re perfect for Easter or anytime! 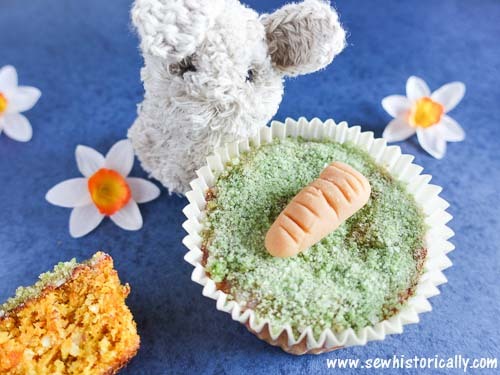 The carrot cupcakes are topped with lemon icing and edible grass, and decorated with homemade naturally colored marzipan carrots! The recipe is actually for carrot cake, but I made carrot cupcakes. 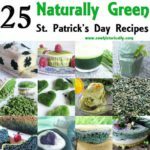 It’s a very old recipe – dating back to the 1920s! 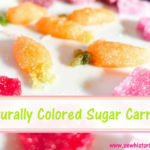 For the carrot cupcakes, beat the egg whites, then add the other ingredients. Pour the batter into paper muffin liners. Bake at 180°C for 15 minutes. 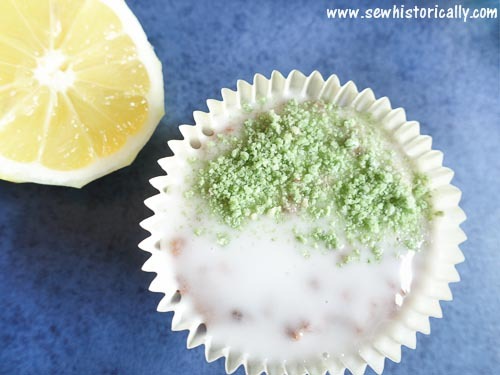 For the lemon icing, stir together powdered sugar and some drops of fresh lemon juice. 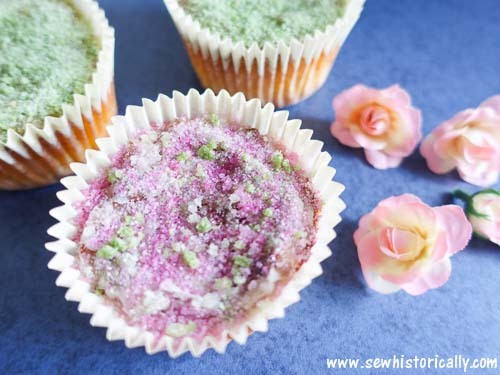 Cover the cupcakes with icing, then sprinkle them with green spinach sugar. 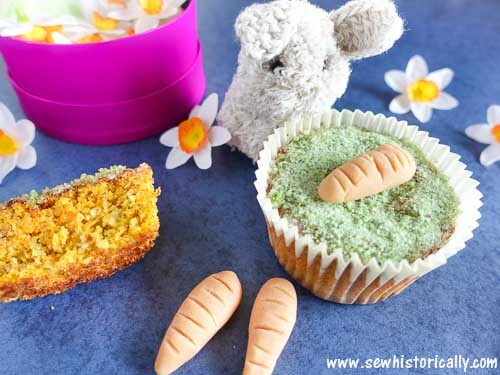 Decorate the carrot cupcakes with homemade marzipan carrots. 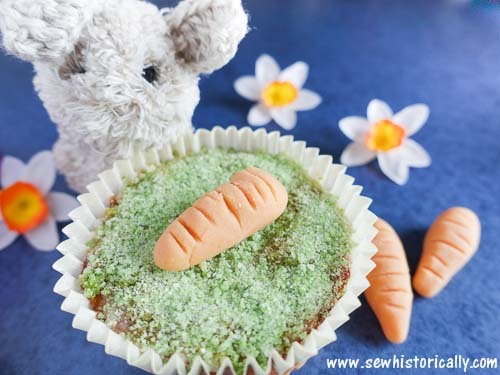 The carrot cupcakes are so delicious! 😀 With a fresh taste of carrot and lemon. 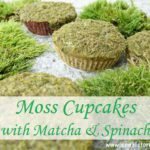 Here you’ll find my recipe for naturally colored moss cupcakes. 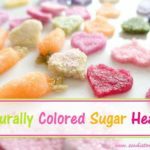 So cute and they sound delicious! Thanks for sharing with SYC. Thank you. Yes, they’re so delicious.